Digital marketing is vital to your business, but do you ever find yourself living your life in reaction to social media or emails, like Pavlov’s Dogs, jumping to attention each time you hear a “ding” from a notification? The digitally connected world we live in, can be incredibly harmful to our mental health and social lives. One of the best ways to ensure a more balanced life, is to automate your digital marketing – meaning create a network of automated process, systems, and apps to automatically take care of marketing tasks such as following up on emails, posting to facebook, and so on. This will not only free up physical time, it will give you peace of mind, and a sense of certainty that things are being taken care of – without you having to always be in an alert state of digital reaction. Essentially, it will allow you the time you need to be calm, focused, and responsive rather than reactive. Tim Ferris in his New York Times Bestselling Book, The Four Hour Workweek talks about the importance of automation in our work lives so that we can focus on managing our business in the sense of working ‘on’ the business rather than working ‘in’ the business. Whilst Tim, along with several other millennial productivity experts urge us to go one step further and outsource our tasks to a virtual assistant; ideally someone living in India or Asia on the basis of cost – this article looks at automation as it relates to technological systems. 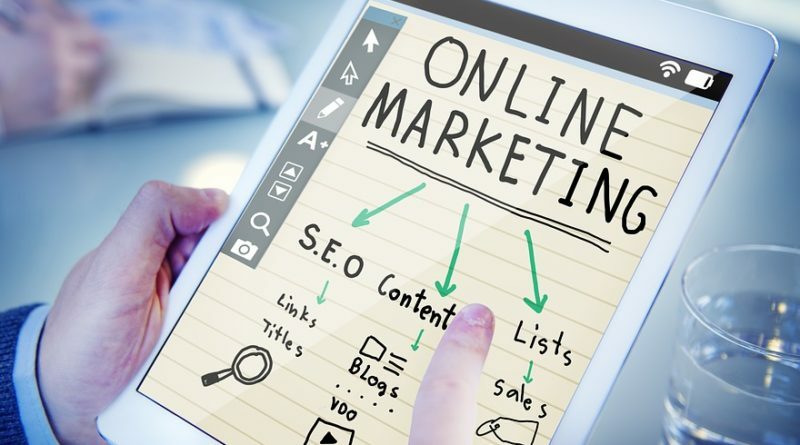 In this article we’re going to look at automating a number of the most time consuming digital marketing tasks the majority of business owners contend with; things such as being inundated by emails, following up on sales leads, and managing our social media presence. If your aim is to become less inundated with having to reactively respond to emails you’ll want to consider using a service like mailchip.com to automate this process. Specifically, you’ll want to create a series of autoresponders that automatically send out a specific personalised email; as a result of being triggered by a customer action such as enquiring, or purchasing a product. The majority of business owners already have something like this in place, but there are plenty of time-starved business owners frantically sending an email to customers thanking them for their order and letting them know when it will be shipped. The key point with automation is that it frees your time to be working ‘on’ the business at a strategic level rather than ‘in’ the business where you are wasting your time doing the same job as a low-level employee. The ultimate in automation, with regard to using autoresponders, is to have your customers segment themselves into a specific marketing category by having them answer a quick questionnaire, for example, as this way they will benefit from receiving more personalised and relevant content – whilst you will benefit from higher engagement and conversion metrics; without any additional time effort on your part. Managing your social media marketing campaigns can be extremely time consuming. Many business owners consider hiring a virtual assistant in order to manage this time consuming task though there are several ways to automate social media, and there are several free apps such as hootsuite and buffer that can help you automate this task. Automating your social media posts can help you leverage your time by scheduling once; then leveraging the post multiple times meaning you reap multiple benefits and get more results with less effort. Automation also ensures consistency – meaning whatever is going on in your “real” life… even if you are having a personal crisis and don’t have time to tend to your blog – in your digital life, you are consistently posting like a well oiled machine; which builds trust and credibility. Of course, there are automation “fails” such as when Domino’s received praise from a happy customer commenting on the amazing taste of their pizza via Facebook. Domino’s automatically responded with an apologetic comment explaining how sorry they were to the customer! This was most likely due to having set up an automated customer response geared toward damage control. There are therefore a number of limitations with automated systems, and the increasingly popular ‘messenger bots’ that interact with customers on your behalf using artificial intelligence. In a similar vein to automation tools are content curation and news aggregation tools that help teams work more efficiently by giving users one place to curate, collaborate and distribute saved content. These time saving platforms are worth mentioning within this article, because whilst they are strictly not fully automated, they will save a lot of time and make communication with your team a lot more efficient. Many companies submit press releases to automated engines as a way to boost their search engine rank and credibility with ranking sites such as Moz. Within this practice, it is often not imagined many people will read the actual content of the press release itself – which might sound a little disheartening – but this practice of using press releases to boost your search rank with Google is more about having the search engine robots view you as credible, rather than anyone to engage with the content itself; on this basis, getting someone else (i.e. a virtual assistant or a content writer available on a site such as freelancer.com) to write the article and submit it to an automated press release website is a hands off and cost effective way to get up in the search rankings. A further strategy that is good for building your company website’s reputation within search engine marketing (see: domain authority) is to submit press releases or guest blog posts that are then published on a high ranking site with a link back to your website. When Google sends out its robots they will rank your website higher; as an already authoritative website is linking to your site; which infers trust and credibility – meaning your Google ranking will incrementally increase. You can submit a press release on the internet, for a small fee, or on certain websites for no fee whatsoever… and something to bear in mind, on these sites, is that real-life journalists who work for huge newspapers such as The Sunday Times, The New York Times and even the BBC use these sites for ease and time-saving when it comes to writing an article on a tight deadline. This means that there would be a chance of a high flying journalist from a national newspaper linking to your site within a particular feature they are writing – all as a result of an automated press release that cost little to no money and takes little to no time. Your marketing funnel is made up of several stages through which users (that will hopefully go on to be customers) move from first awareness of your brand or website through to being a customer then onward to recommending your business and becoming a raving fan. A marketing funnel is essentially the process of converting a visitor or browser into a paying customer. In consideration of the fact we’re talking about digital marketing, then this process is already likely to be automated – but often this is with a number of tools that you can lose track of, and often the sheer number of different applications required can cause integration issues (let alone burn a hole in your wallet each month). This is where tools such as Clickfunnels come into play, as they offer an all-in-one solution to manage each phase of your customers journey throughout the funnel. Scheduling blog posts to feature at a specific time is one of the most basic yet imperative forms of automation for your digital marketing strategy – as life can often get in the way, and if you’re unable to get to a computer at the “right time” this lack of consistency could start to be detrimental toward your brand. Similarly, you can post different posts to different audiences in different time zones – as just because you’ve finished writing your blog post at 3am on a Monday morning; doesn’t mean that’s the time to send it… you want to ensure each blog post you publish and each social media comment you make promoting said blog post, are sent at the optimum point in time for engagement and consumption of your message. In summary, there are a number of digital marketing aspects that you can put on autopilot – and most business owners operating within e-commerce have these aspects automated, at least to a point – but with future trends involving even more automation, such as the huge increase in automated customer service messenger bots; we really are just at the beginning of the automation revolution… meaning, businesses that embrace and make full use of automated processes, applications and technologies are going to be way ahead of the competition in terms of the efficiency of their digital marketing.